View More In Cups & Glasses. Ideal for use in long term, acute care, hospital and rehabilitation settings where cross-contamination is a concern. 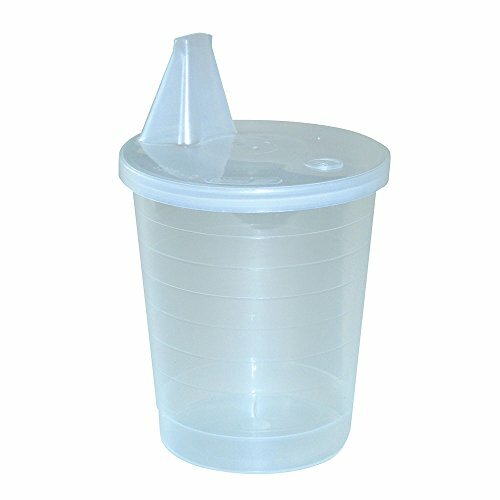 This disposable cup features a specially designed lid that allows the flow of fluid to be controlled with the touch of a finger and reduces the risk of choking. Cup hold 6.76 oz. (200 m) and is marked in 25 ml increments for easy tracking of fluid intake. Helps to promote independent drinking and reduces the needs for caregiver assistance. If you have any questions about this product by Maddak Inc., contact us by completing and submitting the form below. If you are looking for a specif part number, please include it with your message.